Many homeowners and individuals have, in recent years, sought to reduce their electricity and utility bills by installing solar panels on their own roofs. However, some of those homeowners find that they do not have enough roof space to make the installation worthwhile. Many homes have roofs that are too small or too shady, due to being located near other buildings or under trees, to make a solar panel very effective or cost efficient. In addition, individuals who rent their homes or who live in apartment buildings may not even have access to their roofs. Experts estimate that 85 percent of individuals are unable to install solar panels on their roofs for various reasons. 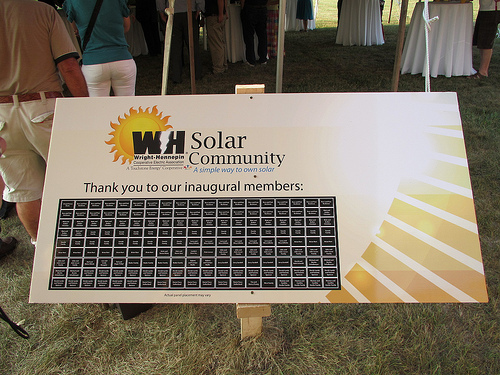 However, shared or community solar projects allow such customers to have access to solar energy and get involved in the current trend toward increased use of solar power. Massachusetts, for example, passed a law in 2008 that allowed for community projects for renewable energy generation. California, Minnesota, and Washington, D.C. are among the other areas where community solar projects are legal. Several other states have similar programs in the works.